The months since the last newsletter have seen the consolidation of Newton Farm Ecology Park as a welcome addition to our portfolio – welcome for many reasons, but one reason is that it shows that we are not solely concerned with the rich north of the borough and its arc of green belt. The warden, Claire McDermott, has assembled a team of local residents including an assistant warden, Tiffany Moore, who is well qualified with a degree in Environmental Science and an MA in Botanical Conservation. Litter is an ongoing problem at the Park, and money from the Green Grid project (details of which are now downloadable from the Forum website) at Harrow Council will pay for bollards at the entrances to make it impossible to wheel barrows onto the site. One of the many projects undertaken by young volunteers during Sewa Day on September 25th 2011 <http://www.sewaday.org> was litter clearance at Newton Farm; at the end of that day the Park was completely litter free. The Park now appears on our web site and on August 23rd I spent an interesting morning at Sally Reeves’ desk at the Civic Centre looking through old documents about the site with the aim of generating a leaflet in due course. One aspect of Newton Farm that puzzled me was the names and location of the local streams. Two Council documents – a map of watercourses and flood defences, and an undated but recent document entitled “Character Assessment of Harrow's Residential Areas” revealed all. The visible stream, on the north of the site, is the Yeading Brook East, not to be confused with the Yeading Brook West, which flows through the moat at Headstone Manor and through Roxbourne Park, where it is joined by Smarts Brook. The Yeading Brook East rises on the west slopes of Harrow Hill, emerges from a culvert at Newton Farm, flows through Newton Park on the west of Alexandra Avenue and finally joins with its western sister south of the A40 opposite Northolt airfield. The Roxbourne, meanwhile, is a tributary of the Yeading Brook East. It rises in Roxeth and runs immediately south of Newton Farm, entering a culvert under Alexandra Avenue where it joins the Yeading Brook East. The large pipes that one sees south of the pond at Newton Farm are for flood relief from the Roxbourne – when flow is dangerously high these will pour water into the pond. All very confusing, especially since this means that the Roxbourne never gets closer than a kilometre to Roxbourne Park! A considerable fraction of my time has been concerned with Stanmore Common. On the ground, on July 31st and September 4th, David Bailey and I used the Forum’s brush cutter to cut areas of the two open glades Cerrislande and Oakmead. A few days after each cut, BTCV work parties raked up the cut material and piled it in heaps downhill of the open land. We are pleased with how this system worked – it means that we (Forum wardens) can cut a significant area, since we are spared the time consuming task of raking up. The few days delay between cutting and raking means that invertebrates have a chance to leave the cut material and move to uncut areas. Simon Braidman and David Bailey believe that this system should allow them to maintain these two glades – the only ones that are not cut by Council contractors – open, stopping all encroachment by scrub. The largest of the open areas on Stanmore Common, Bluebell Heath, is however a problem. It was as recently as ten years ago one open area, but now it is divided by belts of secondary woodland into a series of wide rides. Furthermore, the complex heathland/acid grassland flora is now dominated by bracken. I am working on an application to the Heritage Lottery Fund to restore the full open area and connect it with New Heath, the area to the west that was scraped and sown with heather seeds three years ago and where the heather is now well established. More details of this project are at <http://www.harrowncf.org/SC_Bluebell_Heath_project.html>. We welcome all views on this project – the more that we can show support from the community, the better our chances of getting the money. In particular, if we are awarded the money we intend to set up an advisory group to oversee the project. If possible we would like to have representatives from all groups who use the Common – dog walkers, bird watchers, etc., so if you would willing to join such a body, tell me. Reinstate water supply and cattle trough. We welcome these works, all of which will improve our sites. One project close to my heart is getting cattle onto Forty Acre Field in Stanmore Country Park, and putting in a cattle trough is essential to that initiative. I mentioned the Sewa Day volunteers at Newton Farm. A second group, dominated by young people from the Chinmaya Foundation, pulled up birch saplings on New Heath – see our web site <http://www.harrowncf.org/> for photos. The Chinmaya Foundation are becoming regular helpers at Stanmore Common are we are very grateful for their support. A third group did great work with John Hollingdale in clearing scrub around the upper balance pond at the southwest corner of Stanmore Country Park. Lastly, I should mention publicity. Elliot Bertram has done a great job as our Publicity Officer and is getting our name out on media most of us don’t even know about. In particular we want to get people reading short messages about interesting things seen on the sites on Twitter - these people will then, we hope, be encouraged to get involved. Please send any such reports to Elliot at <elliot_bertram@hotmail.com> or to me at <admin@harrowncf.org> (or simply by post to 40 Walton Drive, HA1 4XA). We had a stand at the Harrow in Leaf show on August 29th (many thanks to John Hollingdale and David Bailey for this) and at the Apple Day at Grimsdyke Hotel on October 16th. A large article about our sites appeared in the Harrow Observer on August 11th. In the past the Observer reporters have let me see their copy before going to press, which has allowed me to tinker with it and in particular to make sure that the article contains our contact details. They did not do that this time, and the article failed to say how people who want to get involved could contact us – not good! I will be more specific about our requirements next time the Observer gets in touch. Rev James Mercer reported that the regular work had continued on keeping the paths open. The reserve would now be used for outdoor environmental education and details of the three courses developed for continuing professional development by The School Grounds Consultancy Ltd had been sent round by email. The annual Open Day held jointly with All Saints Church had taken place on September 18th and had been an enjoyable and pleasant day. Gill Lewis reported that she was seeing an increase in the biodiversity of the churchyard. Gifts of plants had added to richness of the wild flower meadow. Peter Peretti reported that in addition to the usual annual maintenance work being carried out, BTCV working parties had continued with the clearance of Ragwort. There was concern that fires under the Master Oak was encouraging fungus which would in time threaten the tree. The idea of putting an iron fence around it was discussed. The cattle have confined themselves to the east side of the site due to the early lack of growth of grass due to rabbit grazing. A group would be at the site for Sewa day and the BTCV would be there at the same time. The planning proposal for Lower Priory Farm had been passed. A letter had been sent regarding the Forum’s concerns. The issue of fishing in Boot pond was discussed. It was noted that the Byelaws do not cover fishing. An earlier suggestion had been to make one end of the pond only suitable for amphibians. A new assistant warden Tiffany Moore was assisting at the site. Two working parties are advertised on the Forum website for the Autumn. The issue of the introduction of bee hives was discussed and it was agreed that Dave Corby would contact the Harrow Beekeepers’ about this. There was a problem with the requirement from English Heritage that the Bracken be removed from the Dyke as there was no extra funding for this. One of the two allowed BTCV day had been used as well as the Herts and Middlesex Wildlife Trust. The agreed action with regard to the Japanese Knotweed problem just outside the boundary of the site had not been carried out. Claire was pleased to report weasels were on the site. Roesel’s bush-crickets (also seen at Stanmore Country Park) and Marbled White butterflies had been recorded. The helleborine orchids had survived and heather has appeared on the Dyke. Dave Bolton that the dumped glass door etc had now been removed. 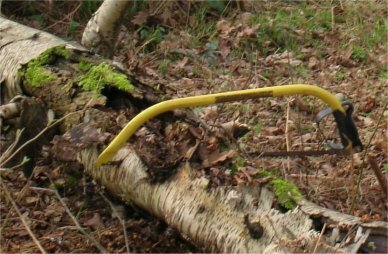 Regular working parties have taken place: clearing branches of a damaged ash tree; cutting back encroachment of paths and litter picking has continued. Some of the hay cut had been done and there was less Ragwort this year. The pond was continuing to hold water well. Outstanding work was: the repair/replacement of the steps; covering the open drain and the top up of the path surface and entrance drive. David Bailey reported that the usual BTCV working parties had taken place and a Bat walk last week had been successful. Steve was coordinating the Sewa day volunteers on the site. Steve reported that he was making progress with the Heritage Lottery Fund application regarding Bluebell Heath. John Hollingdale reported that a summer walk had taken place and about 6 Ringlet butterflies had been seen across the site and about 6 Marbled White butterflies were in Forty Acre field. John has continued to carry out routine management and some Bracken clearing has taken place. Future management includes enlarging two open areas and continuing management of a Blackthorn hedge. For Sewa day on Sunday 25th September a group of volunteers came to Stanmore Country Park and did a good job clearing Bramble around the balancing ponds. The issue of overnight camping was discussed at the last Forum meeting. The usual procedure is to email Dave Corby about a problem and it would be dealt with initially by council officers. Robert Stone was unable to attend the meeting but had sent in a report. It was felt that the tree cutting as Caesars’ Pond did not go nearly far enough. Robert also requested that the weed in the pond be investigated. There was also a problem with dumping in Spring Pond which Dave Corby will deal with.